For many people with irritable bowel syndrome, their symptoms don’t give a clear indication of their condition. While IBS is a common gut disorder which causes abdominal pain, bloating, and sometimes bouts of diarrhea and or constipation, those who suffer indigestion ― also known as functional dyspepsia ― may experience the same, often accompanied with nausea or heartburn. But Dr. Jeong Seong-ae at the Ewha Womans University Mokdong Hospital says that what worries the patients most is that such symptoms are signs of cancer. 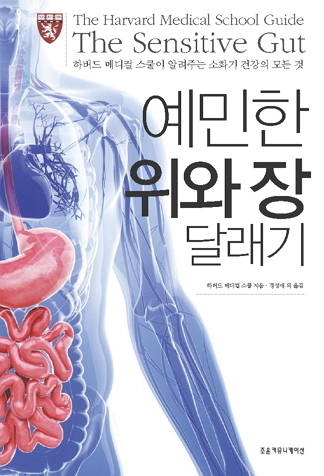 That is why she produced a Korean translation of “The Sensitive Gut,” a book written by the Harvard Medical School on how to address and prevent the most common gastrointestinal disorders, such as IBS, indigestion and diarrhea. The book recently hit local bookstores. “In Korea, many patients with (the conditions) get only about three or four minutes to see the doctor and talk about it,” she told The Korea Herald. The doctor said it’s important to be aware of the “cancer alarm” symptoms first. “It is true that many cancer patients suffer from symptoms that are very similar to the ones of IBS or indigestion,” the doctor said. According to Jeong, if you have bloody stools, experience sudden weight loss of more than five kilograms, and have abdominal pain so severe that it wakes you while sleeping at night, it is possible that you may have a more serious illness. And once you know that you are just suffering IBS or indigestion, the doctor said keeping a daily journal about what they eat every day can be very helpful to ease or prevent the symptoms. “Figuring out which foods cause the symptoms is a highly individual process, and it requires time,” she said. She suggested patients to write their food journals for at least three weeks, and explained that things they think are good for their health may in fact work against them. The doctor said it was ideal to write down every food they eat each day, as well as any IBS or indigestion symptoms they experience. “For example, many think consuming dietary fiber can ease symptoms of constipation,” she said.